After reading the above article a few times, I was not sure how anything within it could be considered “news”. Like the headline suggests, recyclables that are filthy (soaked and crusty pizza boxes) are of no value, and the recyclables market fluctuates to a point that when demand is down, recycle/waste management companies lose money. Groundbreaking, front-page stuff, right? The author, Sarah Jane Kyle, makes a passing reference to a 20–year-old city ordinance that mandates residents are charged by the size of their garbage bin and not their recycling bin. This mandate, she explains, gives citizens a financial incentive to recycle…YAY! Oddly, though, there is no mention that the City of Fort Collins also mandates via ordinance that cardboard must be recycled. I would think that an environmental reporter writing about the repercussions of “dirty” recycling would mention that such recycling is mandatory, but I never went to J-School. Municipalities increasingly require curbside recycling or, like Fort Collins, financially incent citizens to participate in these services (If you’re saying to yourself “government mandated consumerism never works” give yourself a cookie). The very day cities implement these ill-conceived programs, they increase their fleet of collection trucks, often doubling it, as was the case in Las Angeles where the fleet was increased from 400 trucks to 800. Double the trucks, double the harmful CO2 emissions, noise pollution, possibilities of litter, double the costs of fuel, maintenance, and working capital, piddling away hard earned tax revenues. But all that’s totally worth it, because recycling saves Mother Earth! Well actually, recycling facilites, according to the EPA, release 40 tons of toxic waste for every 100 tons of processed newsprint. Recycling plastics creates waste streams that contaminate air and wastewater, and 13 of the 50 worst superfund sites are or were recycling facilities. However, the same EPA has concluded that landfills are environmentally safe (a far cry from the worst of the worst superfund sites), causing a mere 1 additional cancer risk every 13 years. Truth Bomb! Daaaaayyyummmm! 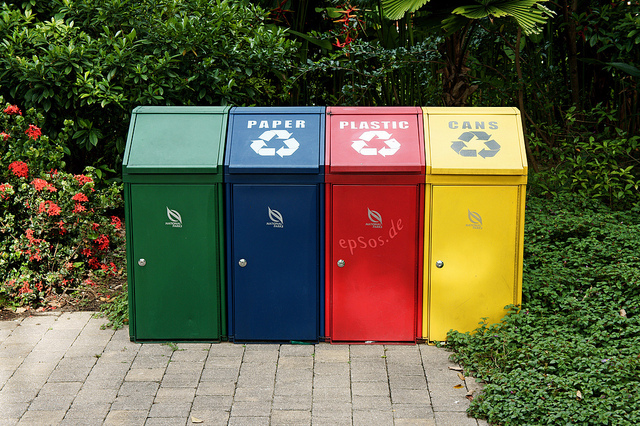 An article by John Tierney in The New York Times entitled “Recycling is Garbage” revealed that “for every ton of recycled goods that a truck delivers to a recycling facility, the city spends $200 more than it would spend to dispose of that waste into a landfill”. Sarah Jane Kyle tells us that the Larimer County Landfill was purchasing recyclables for $18/ton in December 2014, but today is charging $33 per ton to take it off the trucks. Shockingly, there isn’t much of a demand for the crap we throw away. We can now revel in government-mandated markets predictably floundering financially while literally poising us and our planet, yet plodding onward because they make people feel good about being green!